Fred Flintstone rocks his signature outfit like no other cartoon character around. Even when he's operating the bronto-crane at Slate Rock and Gravel Company, Fred chooses to leave his hard hat and uniform at home. He knows that nothing he wears will be as comfortable and becoming as his trademark tunic! Lucky for you, Fred was able to hook us up with many of his signature ensembles from a store down in Bedrock and we are going to sell one of them to you. 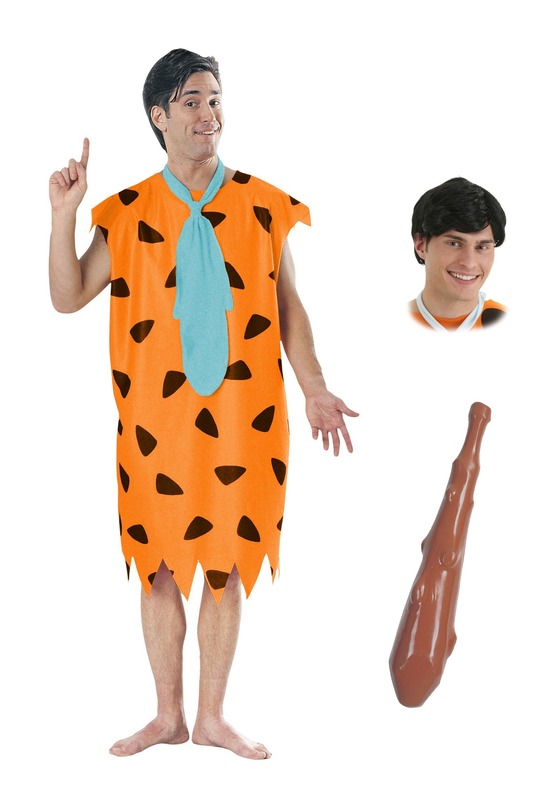 That's right, you don't have to truck all the way down to Bedrock in order to become Fred for Halloween, we'll just send you this Fred Flintstone costume package. 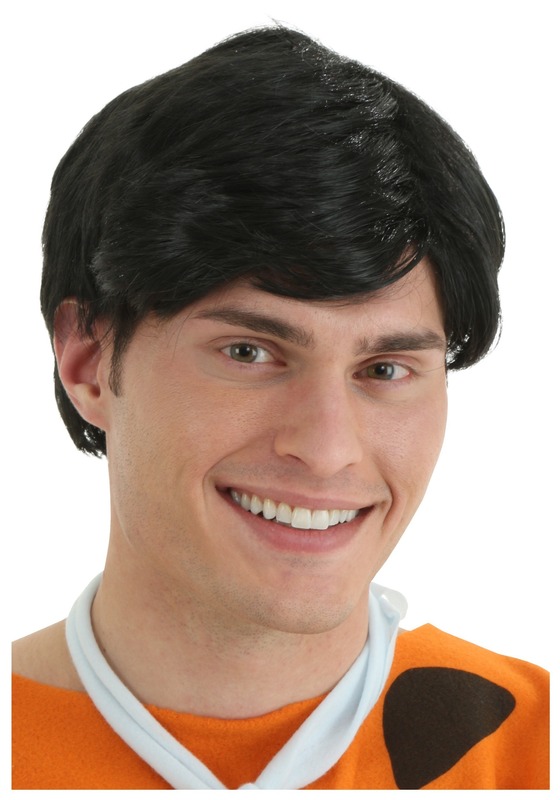 This package comes with the tunic, long necktie, a brown wig, and a club. As soon as it arrives at your door, you can give yourself a prehistoric makeover! 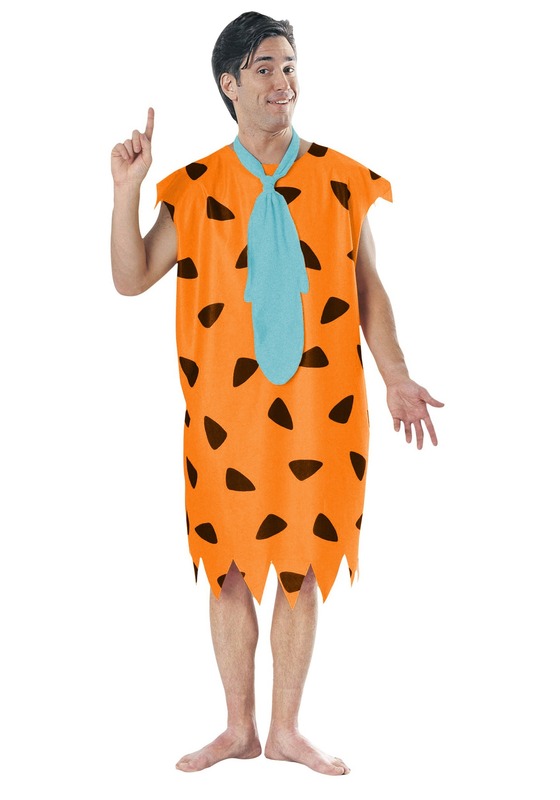 Don't tell Fred this, but we think that you'll rock the complete outfit just as well as Fred Flintstone himself. All you have left to do is practice yelling your most hardy "yabba dabba doo," and you'll basically be a cartoon character that really came to life. We could hook you up with a car that is powered by your feet, but we'll let you think about that for a little bit before you make your final decision!